Demo Fonts Not Available The demo font files had a problem while being generated. Feel free to contact Fontspring or check back later. 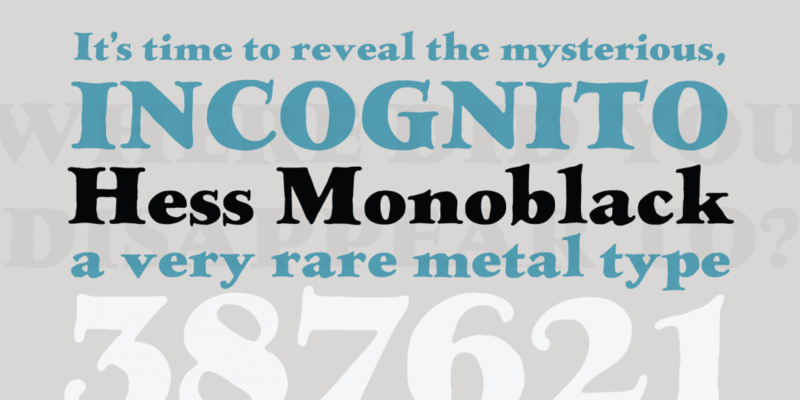 Designed by Sol Hess, LTC Hess Monoblack is a display serif font published by P22 Type Foundry.